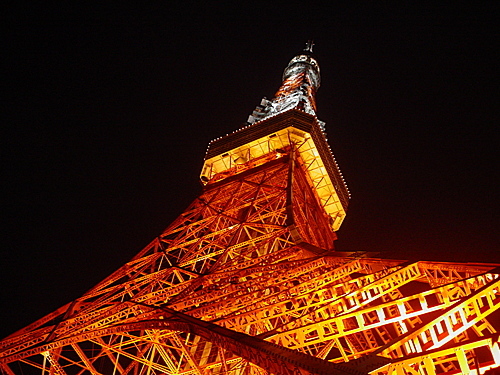 Tokyo - Reliable Travel Information on Japan, Photos, Videos, Popular Destinations - Visit Japan. 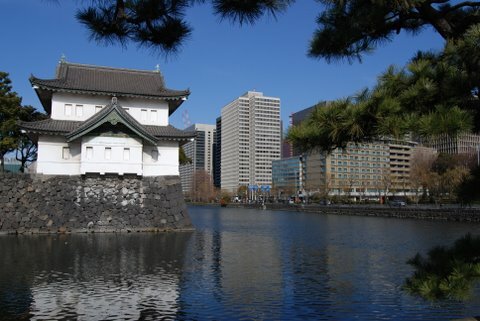 Ranked as the 4th global city, in the 2008 Global cities index by Foreign policy, it is the capital of Japan, seat of the Japanese Government and home to the Japanese imperial family, residing in the imperial palace. Consisting of 23 special wards of Tokyo, each ward is governed as a city, while the entirety is governed by the Tokyo metropolitan government. The population of the special ward is over 8 million, with the total population within the prefecture exceeding 12 million. However, as the prefecture is located in the center of the Greater Tokyo area, which has an overall population of 35 to 39 million people. 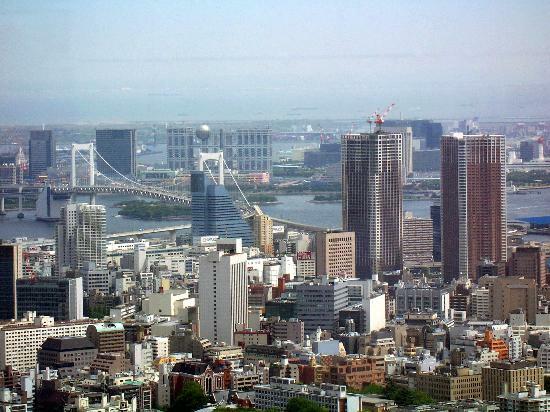 Therefore, as of 2008, the national population been 127 million, roughly 10% of the total Japanese population resides in the Tokyo metropolitan area, and approximately 27-30% of the national population reside in the Greater Tokyo area. 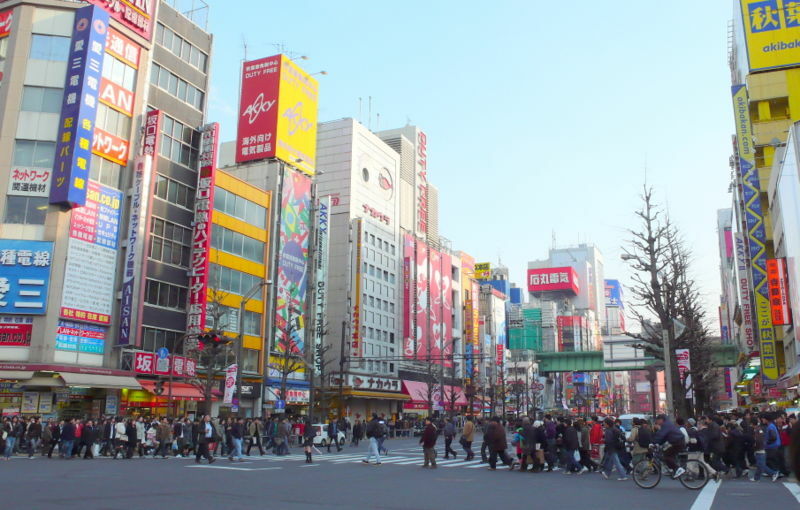 Akihabara: A constantly changing mainstream electronics hub of central Tokyo. Shops vary in size and content, with electronics been prominent, but the advent of a culture of animation and video games has become apparent throughout this area. Hama Rikyu: A park that is reminiscent to central park in New York, although not in size, but in the spectacular contrast that is apparent as it resides as an oasis in a metropolis setting. With seawater bonds that correlate with tidal conditions, and forested areas that become a tranquil haven during the cherry blossom season. Tokyo Imperial Palace: The current residence of the imperial family of Japan. Only the imperial palace east gardens is open to the public throughout the year. However, guided tours are available, through reservation with the imperial household agency. Ginza: harboring numerous department stores, art galleries, boutiques, restaurants, night clubs and cafes, it is the most prominent shopping district in Tokyo. Shinjuku: the name generally refers to the large entertainment, shopping and business district that surrounds Shinjuku station and is part of the 23 wards of Tokyo. Considered to be the busiest railway station, managing more then two million passengers every day, the station comprises of a dozen railway and subway lines. West of the station is Shinjuku's skyscraper district, where many of Tokyo's tallest buildings reside. 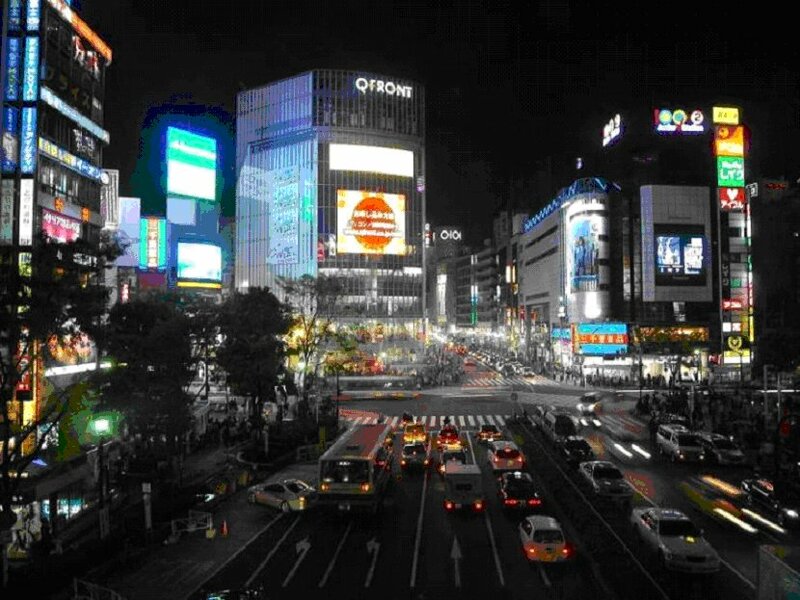 While, Kabukichom Japan's wildest and largest red light district, with department stores, electronic shops and subterranean malls lie to the northeast of Shinjuku station. 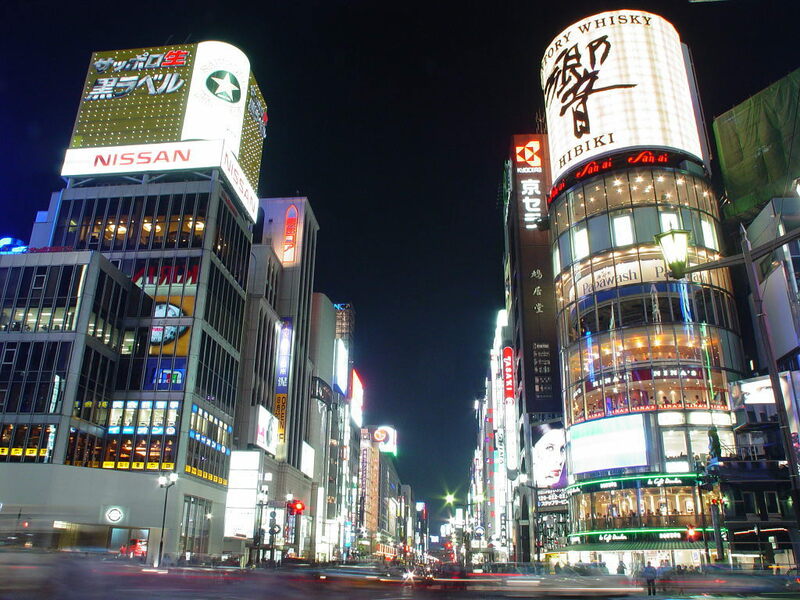 Shibuya: one of the 23 city wards of Tokyo, it is a popular entertainment and shopping district, around Shibuya station. 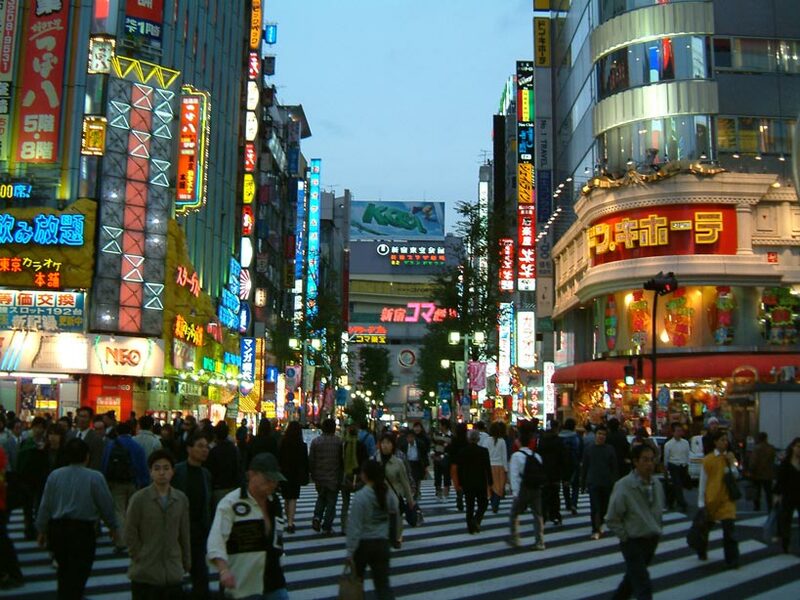 It is considered to be the birthplace of many fashion and entertainment trends in Japan. Asakusa: One of the few remaining districts that retains an atmosphere of old Tokyo, it is a preserved low city that highlights a long gone past. One of the key features that allows this reminiscent ambiance to exist is Sensoji. 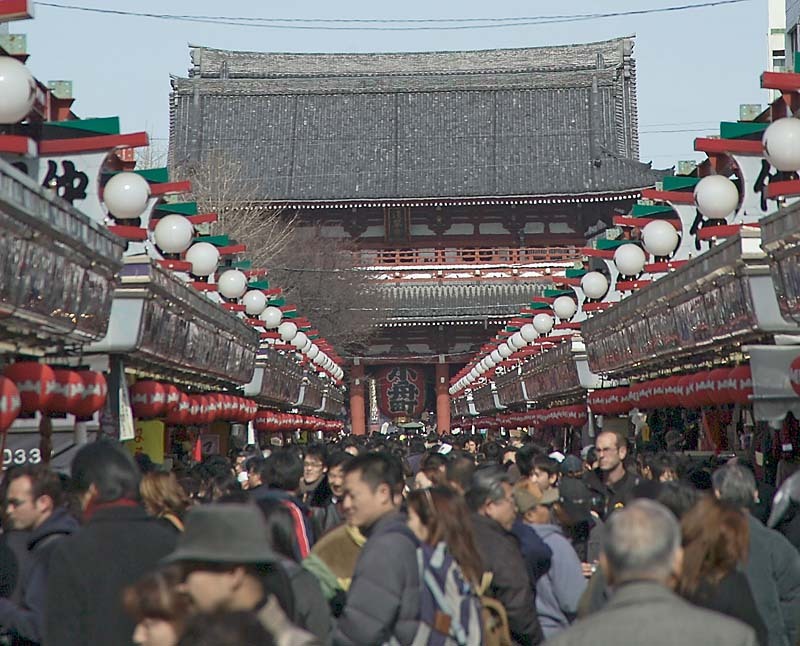 A temple built in the 7th century, it is the main attraction in Asakusa. Ueno park: A large park situated next to Ueno station, it is famous for its many museums, namely the Tokyo national museum, Tokyo metropolitan fine art gallery, National science museum, National museum for western art, Shitamachi museum and the Orient museum. 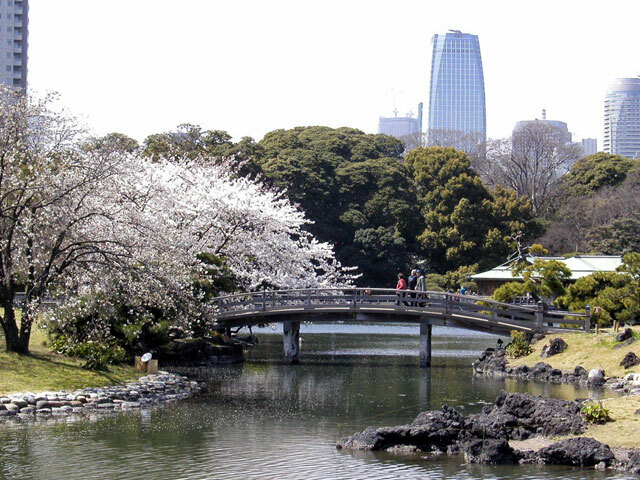 However, the greatest attraction of all in Ueno park is during the spring, when one-thousand cherry blossom trees bloom. 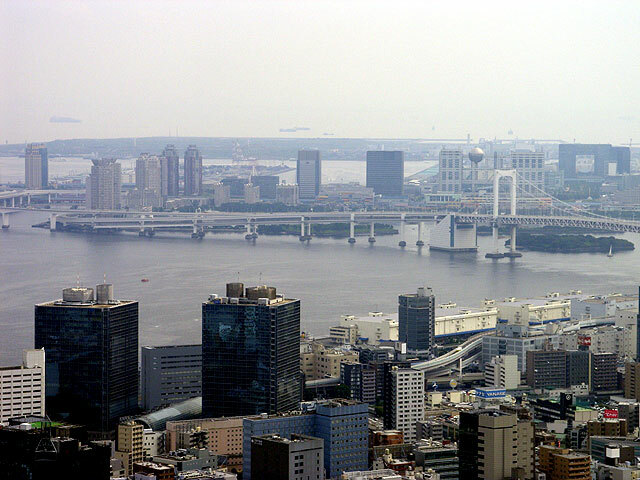 Odaiba: Man made islands made during the late edo period, in the Bay of Tokyo, during the 1980s redevelopment of the islands into a futuristic business district commenced but critically slowed due to the burst of the bubble economy. Roppongi: a district in the Minato city ward of Tokyo, it is famous for its nightlife and has recently completed the building complexes of Tokyo midtown and Roppongi Hill. Within the district is the national art center, the largest art museum in Japan. Its nightlife district is popular with foreigners as there are numerous bar, restaurants, and night clubs that caters well to foreigners.